We found this couple (he's in charge of the grill) on the roadside, near a construction site. The stall itself is welded on to a motorcycle. So efficient! Chicken – breast, whole legs (as you can see), hearts and all! and small packets of sticky rice...everything you need for a fantastic lunch! I miss Asia, especially the food. Some of the best foods are found at street vendors -- little family-owned stalls or motorized food carts that offer only a couple items. 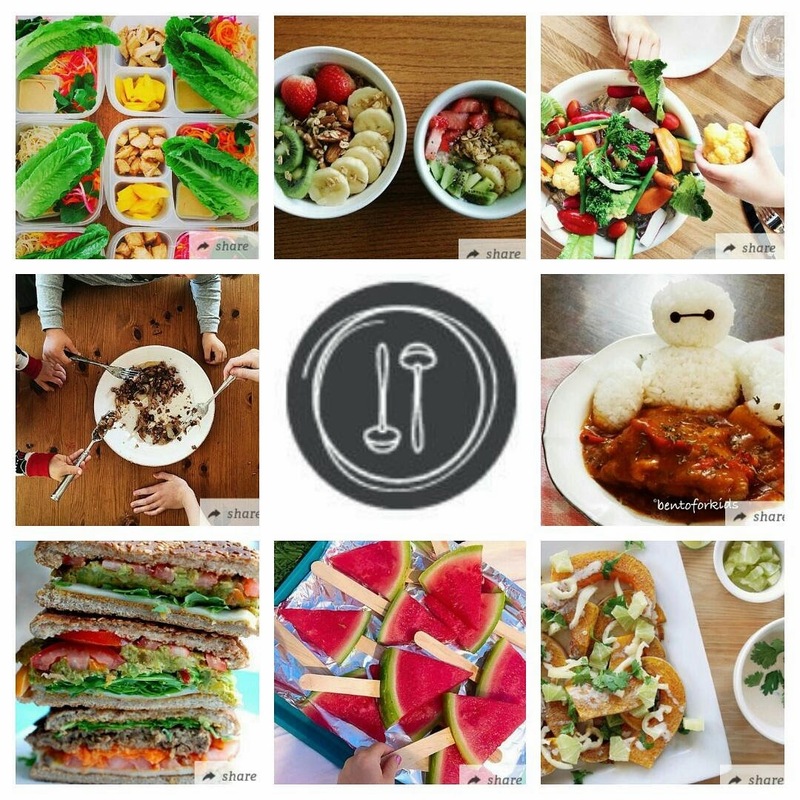 These are recipes that they have perfected over time. 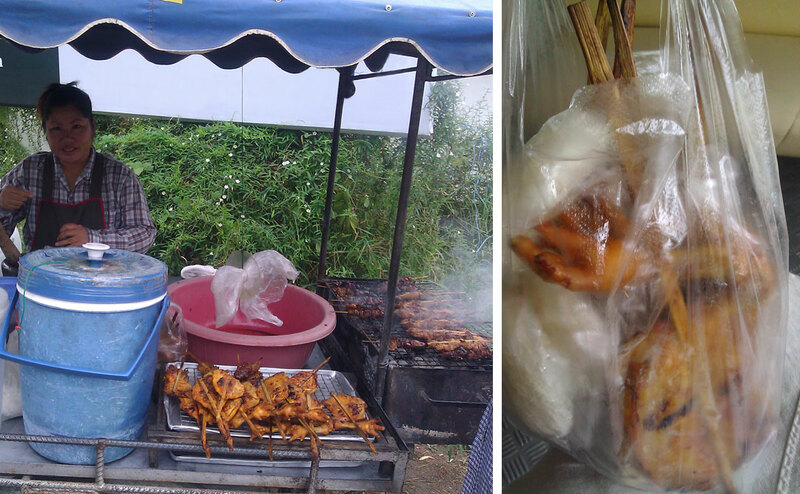 Here are two quintessentially Thai street food favorites, "Pad Thai" (rice noodles) and "Gai Yang" (barbecued chicken). The flavors of these dishes vary from the North to the South of Thailand, but all no trip is complete without seeking out where the locals eat! Pad Thai is a versatile "one-pan" noodle dish that is suitable to any diet. Some recipes call for chicken, pork, or shrimp, but, of course, without adding any of these, it's easily a vegetarian meal (minus the fish sauce). 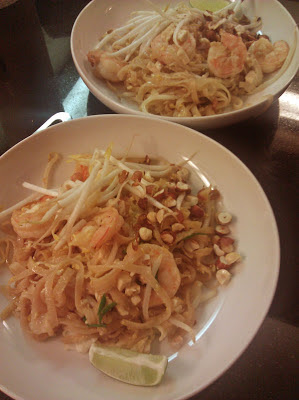 For a more detailed step-by-step Pad Thai making experience, and if you have the time, check out the shesimmers.com recipe. I found a more convenient version of the sauce, without using tamarind (as I don't know where to buy this). It's my first attempt with this dish, and I thought it was very authentic. At any rate, it's better than anything you order in any of those westernized Thai restaurants. This one is definitely going to be another one of my staple dishes! Submerge the dry noodles in room temperature water and soak for about 20 minutes, to soften. In a small bowl, mix the water, sugar/syrup, fish sauce, tamari, lime juice and cayenne (if using). Mix together and set aside. When the noodles are softened, you're ready to cook everything. It's a pretty quick process, do the best you can. In a large, deep frying pan, heat half of the oil. When hot, add the strained noodles, the sauce and the shrimp. Stir constantly to prevent the noodles from sticking together. After a minute, push the mound of noodles and shrimp to one side, and add more oil and then the garlic and shallot/onion. When fragrant, about a minute, scoop onto the noodles. Stir this again to make sure they are not lumping together. Add the remaining oil and the the eggs into the frying pan (you should still have that small empty frying space on the side) and scramble the eggs gently. Once cooked, combine everything in the pan together again, adding in the tofu strips and half of the green onion and bean sprouts. Serve immediately, adding the roasted peanuts, remaining green onions and bean sprouts and lime wedges. In Thai cooking, the mortar and pestle (a large stone one) is essential in preparing many dishes. You can also chop this all finely by hand, or use a hand-held blender or chopper to whizz up all the ingredients (except the chicken). In a ziploc bag, add the chicken pieces, and marinade. Refrigerate overnight or at least 4 hours. 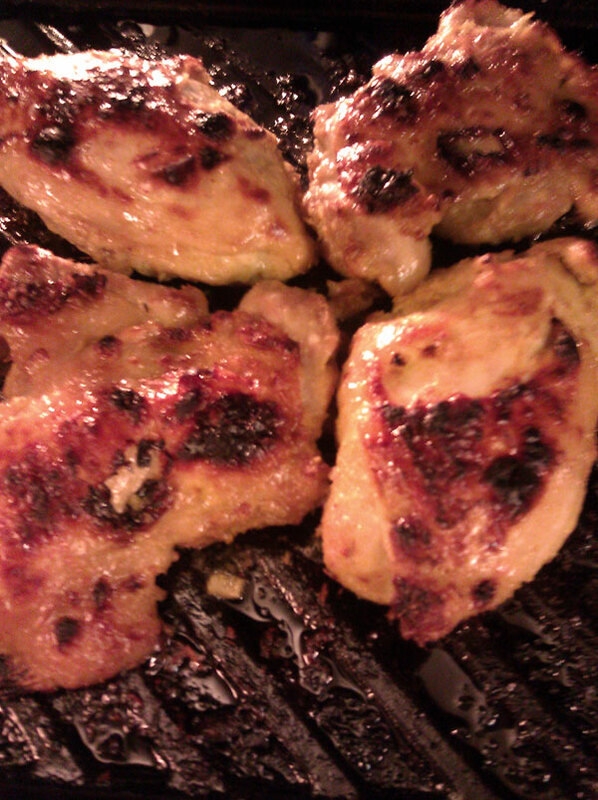 Take the chicken out of the marinade and shaking off any excess bits. Either grill or broil these in the oven on "HI" for 25-30 minutes, turning occasionally. So authentically delicious! Easy and fun to make, great leftover meal. Made it last week and already thinking of making it again.